It's an hour and half into the show and Disclosure is nowhere in sight. Inhibitions are being shaved alongside layers of clothing as the mishmash of sweaty, dancing bodies on the ground level thickens. The opener, T. Williams, is busy priming the crowd into an 808-induced tizzy, while a few of the 9-5ers are wondering when, if ever, Disclosure will take the stage. Then with no prior warning, T. Williams power downs his set and the curtains are re-drawn. Disclosure's arrival is nigh and the crowd is howling their name. The stage is prepped with octagonal LCD displays and a slew of tables, tablets, laptops, and keyboards are set up on opposite sides of the stage. After everything is in place, the fresh-faced duo bustles out onto the stage and mans their respective musical stations. These two wide-eyed and unassuming young men are Disclosure. House music's latest darlings from across the pond. Armed with an album chock full of fan favorites, Guy Howard counts the duo into the first song of the night, "F For You." But this isn't just any old "F For You." 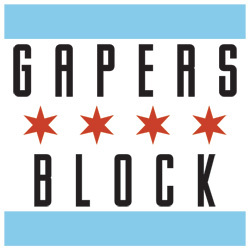 This is "F For You" in Chicago - the international home of House, a title the brothers rightfully acknowledge midway through the show. Perhaps sensing the stakes were higher, Disclosure delivered each track with utmost precision and creativity. "F For You" 's 15-second stretch of standalone beats turned into a 30-second stretch of isolated snare snaps. "When A Fire Starts To Burn" was slowed down, sped up and peppered with live bass licks and cymbal strokes. And somehow the live rendition of "Boiling" was not weakened by the lack of live vocals from Sinead Harnett. On deck was more music from 2013's Settle, kicked off by a rollicking rendition of "You and Me" that rolled over the crowd like an incoming wave. Five songs deep and the crowd had devolved into a mass of visceral movements. The audience, limbs akimbo, danced recklessly throughout an extended version of "January," while Disclosure's signature outlined faces appeared on the LCD displays above and mouthed the words to the music. The entire show was both a feast for the ears and eyes. The visuals heightened already euphoric, sonic moments. And the faces, in all their Zordon-likeness, watched over the crowd like benevolent dictators whose only request of their subjects was to dance, dance, dance. And danced we did through the remaining dispatches from Settle and its accompanying pastiches of mid-90s synth, early-90s isolated beats, and late-90s neo-soul. On a night full of highs, the show's low moments were few and far between. In fact, to find any a critic would have to nitpick, so here goes: Though it was a nice gesture, the tidbits of live contributions from the brothers felt arbitrary. The majority of the music was pre-recorded and when the boys drummed on their drum pads, or slang bass it was largely indistinguishable from the backing track. Save for a blink-and-you'll-miss-it drum solo from older brother, Guy (kid's no Keith Moon), the live moments were largely forgettable. Again though, this was only a small setback and the gesture still warrants minor applause if only for all of the multi-tasking it required. After an hour of many build-ups with very few breakdowns, the twins paused and offered the crowd a brief respite from the mania. Guy then took his phone out and screamed, "Smile Chicago!" as he snapped an Instagram of the crowd. In doing so he revealed himself as the Millennial that he truly is, equally taken with his fandom as his fans are with him. From this point of mutual affection sprung a techno-infused teaser of "Latch" and moments later came the full version. It was a fitting climax, a desperately needed explosion of energy after 3 hours of boom and bass that left the crowd in a state of blissful exasperation. With no material left to play, Disclosure thanked the crowd and humbly exited the stage as the audience, still buzzing from the after effects of all the propulsive drumming, stumbled towards the exit. After an hour of many build-ups with very few breakdowns, Guy and Howard paused and offered the crowd a brief respite from the mania. Guy then took his phone out and screamed, "Smile Chicago!" as he snapped an Instagram of the crowd. In doing so he revealed himself as the Millennial that he truly is, equally taken with his fandom as his fans are with him. From this point of mutual affection sprung a techno-infused teaser of "Latch" and moments later came the real deal. It was a fitting climax, a desperately needed explosion of energy after 3 hours of boom and bass that left the crowd in a state of blissful exasperation. With no material left to play, Disclosure thanked the crowd and humbly exited the stage as the slaphappy audience, still buzzing from the after effects of all the propulsive drumming, made their ways slowly toward the exits. 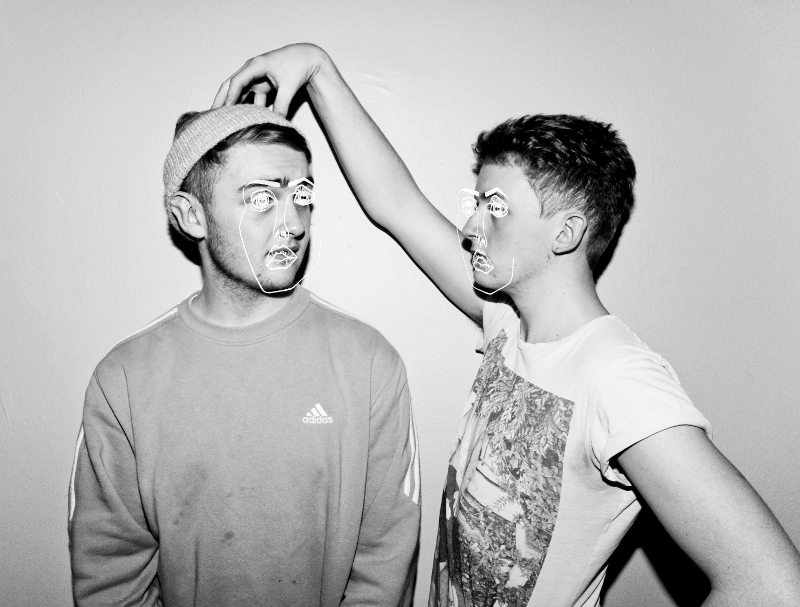 Disclosure is an extraordinary duo whose musical prowess need never be contained to a studio. Each song off of "Settle" sounded better bouncing around the House of Blues than it ever could in your apartment, and seeing these sonic master crafters is an experience that can't be overrated.